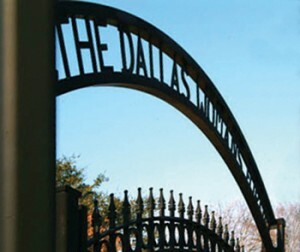 The Dallas Woman’s Forum began in 1906 as the inspiration of Mrs. E.P. Turner, who served as President of the first Departmental Club in Texas. The same year, Mrs. Martha Lavinia Hunter presented the name for the club, The Woman’s Forum. On their first anniversary, the club presented the renowned actress, Amelia Bingham, in a glittering recital. The group’s Insigne and Club Litany were adopted in 1908. In its earliest days, the organization established itself as a standard setter, initiating many “firsts” along the way. In its earliest days, the organization established itself as a standard setter, initiating many “firsts” along the way. The group submitted the first Pure Food Law to the city council and, after much opposition, it was adopted into law. The organization’s Service and Philosophy Department organized the Texas Anthropological Society and established the first museum, which was located on the campus of Southern Methodist University. The group was responsible for the first citywide Flower Show and the first Parliamentary Law class. It was the first group to seek suppression of obscene literature and movies. One ground breaking and influential department of the early group was the Congress of Mothers. With the approval of the Forum’s Board, the department withdrew in 1909 to organize the Council of Mothers, which was the forerunner of the Parent Teachers Association. This group actively supported the first woman on the School Board. For a year-by-year synopsis of the Forum and its impact on the history of Dallas, please read: The Dallas Woman’s Forum, First Hundred Years.